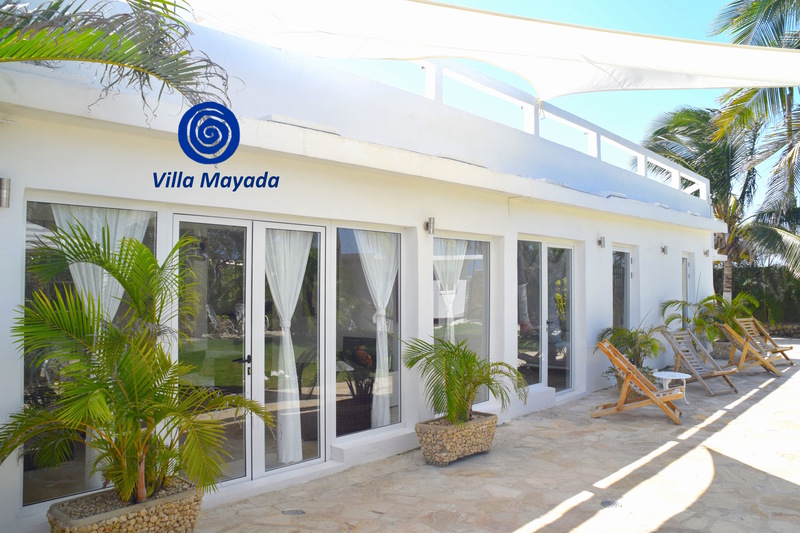 Welcome to Villa Mayada, our beach house, with ocean view! 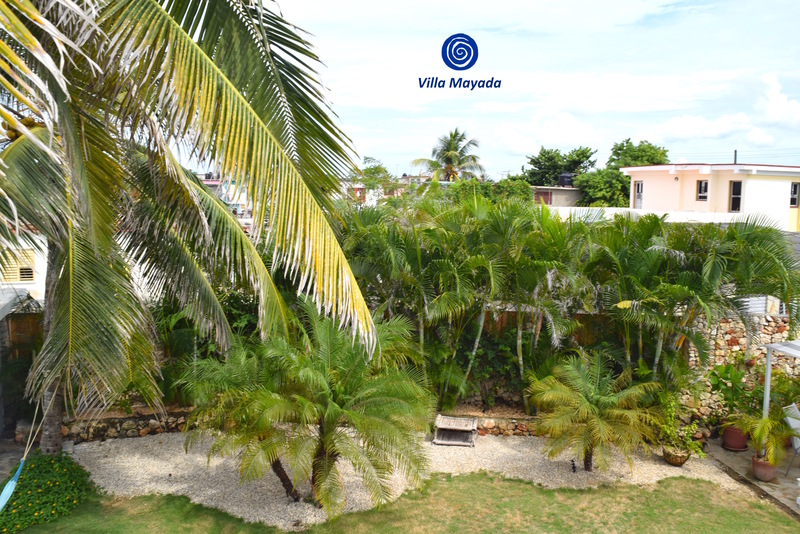 You live alone in a detached house surrounded by a garden and facing the ocean, right in front of the beach with a roof terrace and sea view as well as a very green tropical garden. 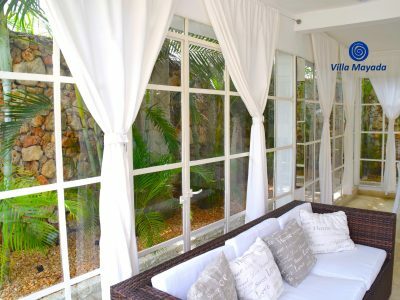 We rent the whole villa with 2 bedrooms with king zise bed, 2 bathrooms, living room, diningroom all spaces with separate exit to the garden. 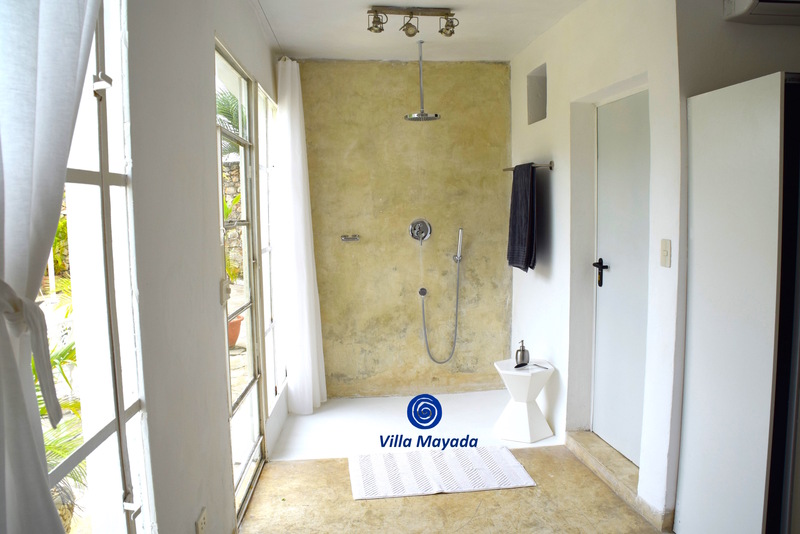 Minimalistic design with European service standard. 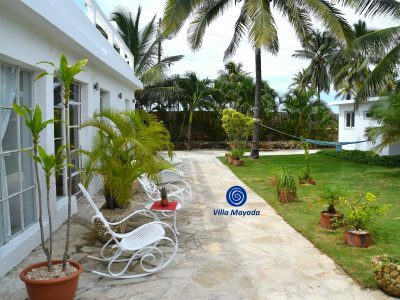 The beach house is near to all important facilities like market, farmers market, bank, hospital, restaurants, bars, etc. 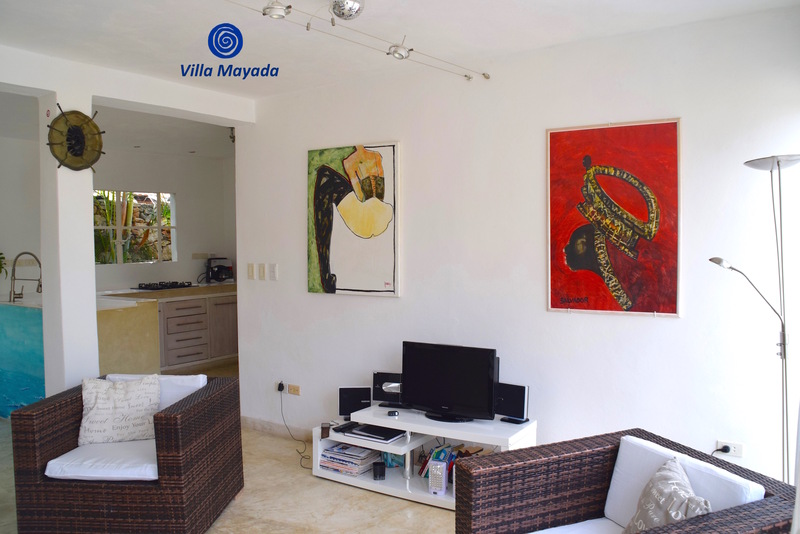 Taxis, Bus ato any part of the city are accessible on foot from the our beach house. 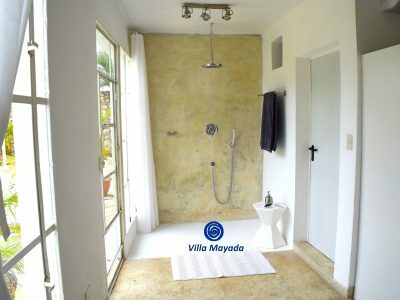 The villa is located 25 min away from Old Havana and 40 min away from the Airport. 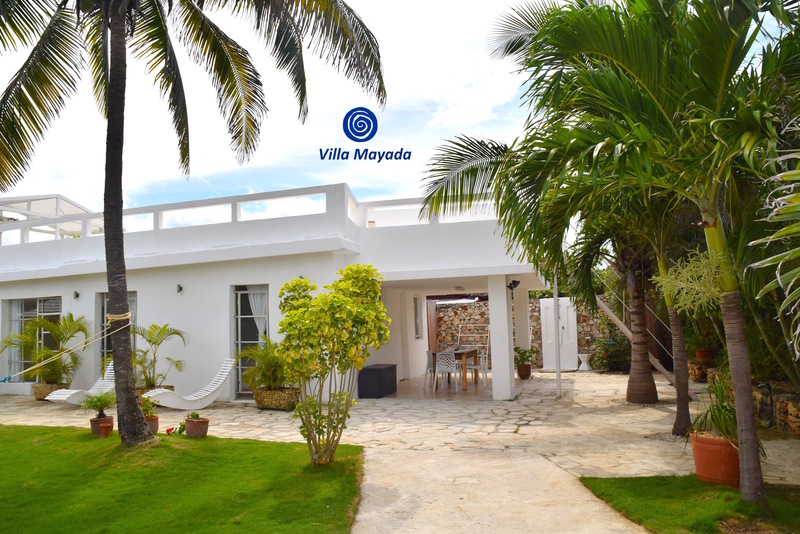 Villa Mayada was my own private house, the first inspiration for our Oasis Concept. 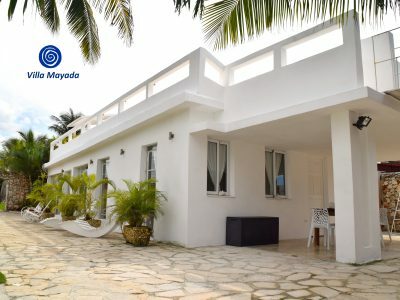 Thanks to the support of our family and my sister May in the first year and the trust in the future of my country help me to create this green and clear oasis in the middle of our reality. 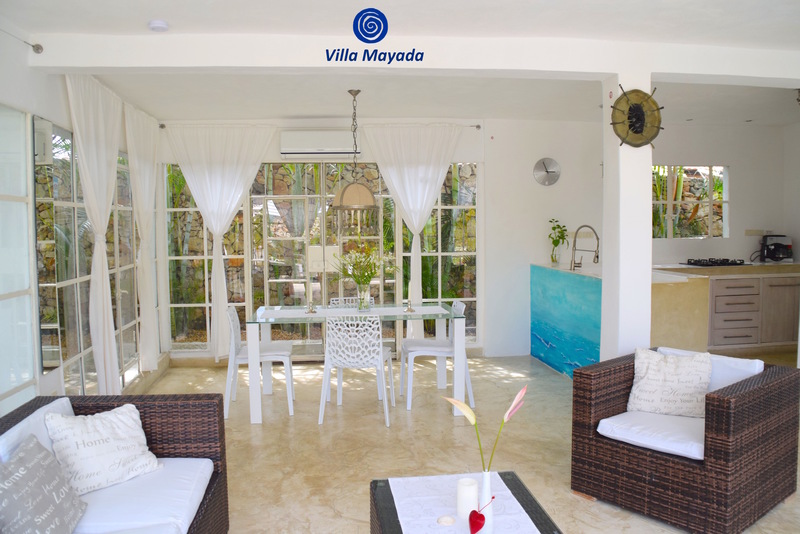 Villa Mayada is an spacious private beach villa facing the ocean, with direct access to the beach with a wide roof terrace with sea view and a green tropical garden. 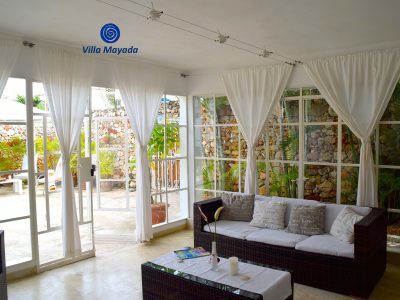 We rent the whole villa with capacity for 4 person a total area of 600 square meters and 120 square meters living space. 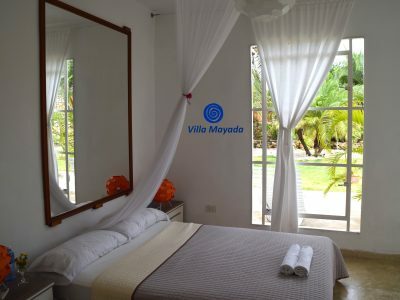 A very good option for families with kids, honeymoon and individual holidays in Havana, Cuba. 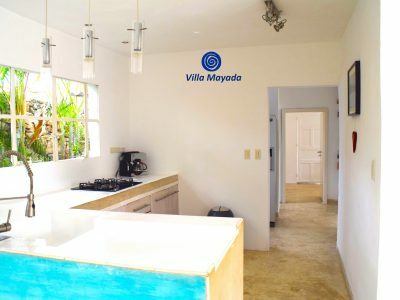 This modern house has 2 rooms with king zise beds and own private bathroom , livingroom, fully equipped kitchen, all spaces with separate and direct exit to the garden, Wifi and all necessary facilities for a confortable stay. 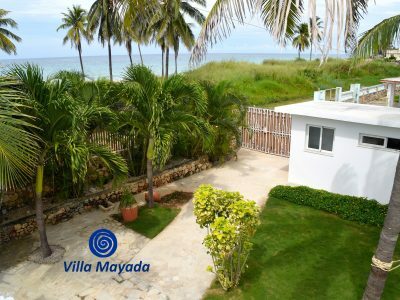 The beach facing Villa Mayada is a natural sand beach, in some seasons there are some little stone at the shore but it is good to swimm, there are no stones in the water! 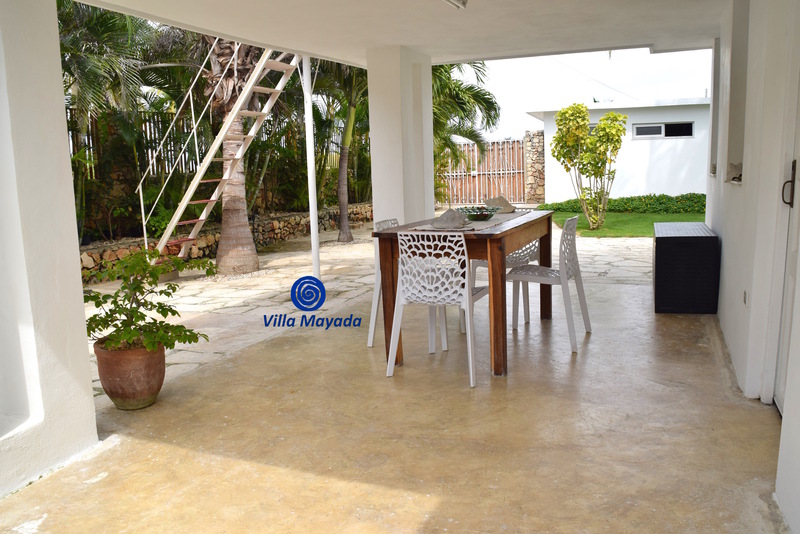 2 km away from the Villa, begin the white sand beaches – Boca Ciega- Mar Azul, etc. 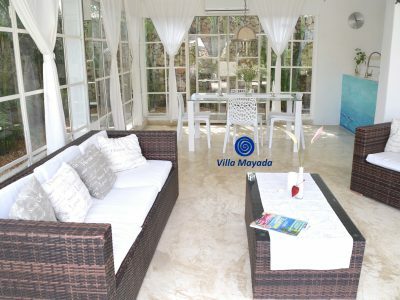 it is possible to walk at beach shore from our villa, to this places, where umbrellas, beach chairs, can be hired. 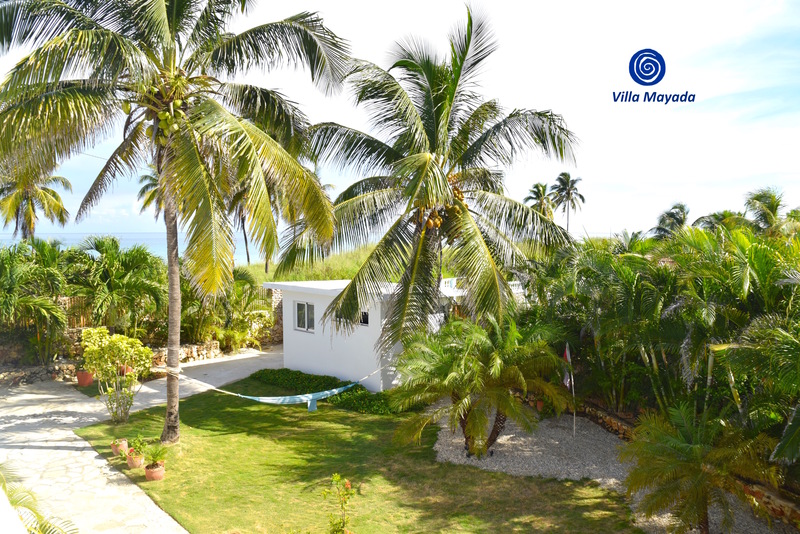 There are also little restaurants, some of them serve food, coctails and drinks at the beach. 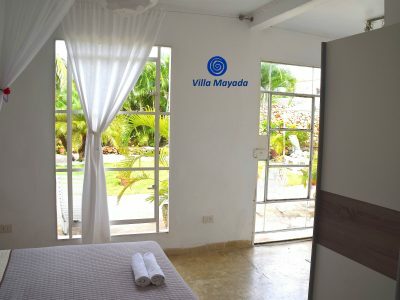 Short excursion with the catamaran and snorkeling can be also booked there. 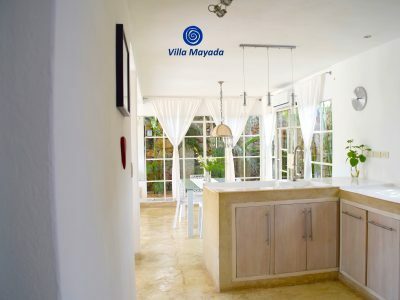 All important facilities like market, farmers market, bank, hospital, restaurants , bars and transportation to any part of the city are accessible on foot, 100 m away from the villa. 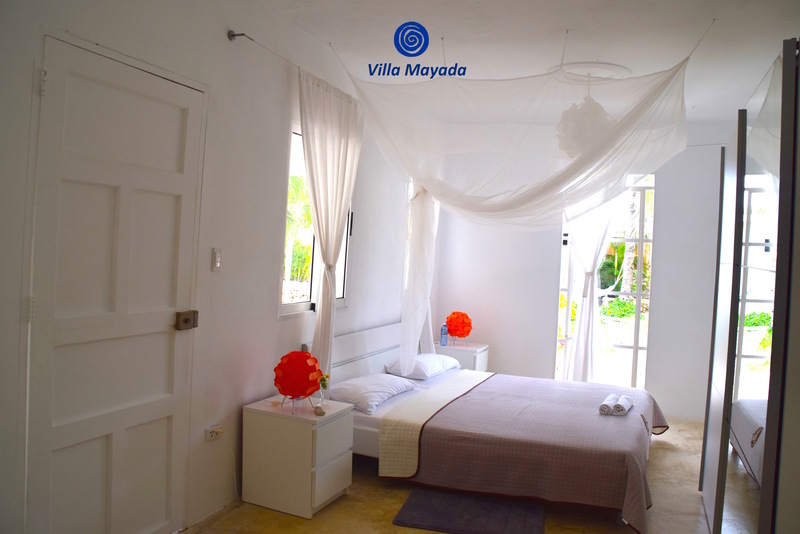 The villa is located about 25 minutes away from all highlights and important sight-seens of Havana like Capitol, Parque Central, Calle Obispo and the sea promenade „ Malecon“ and 40 minutes from the airport. 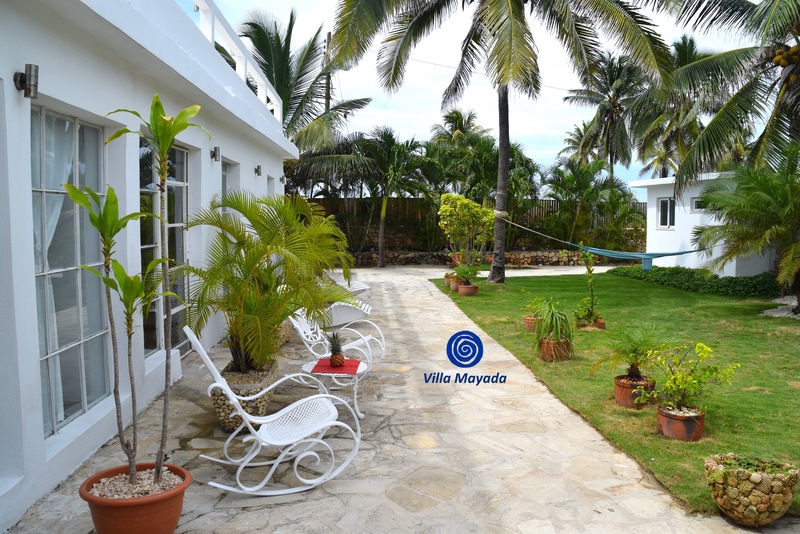 2 KEY SETS OR ACCORDING TO GUEST ENQUIRY! 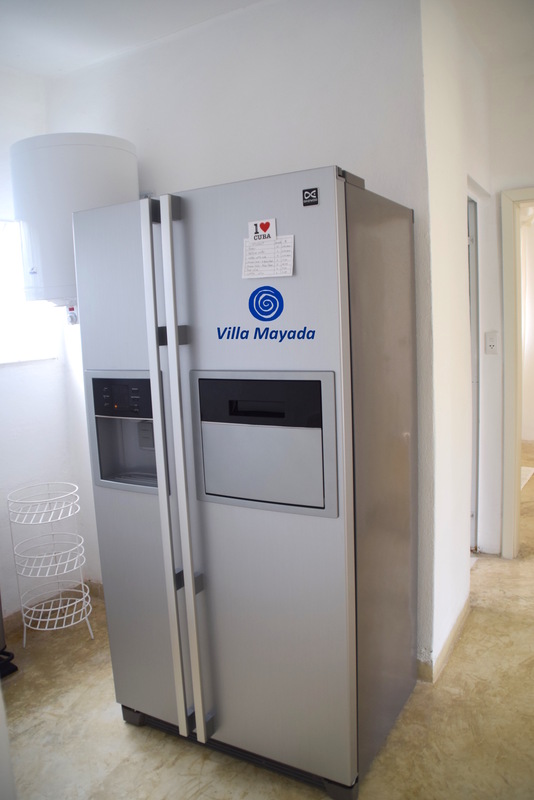 Cuba is a safe country! 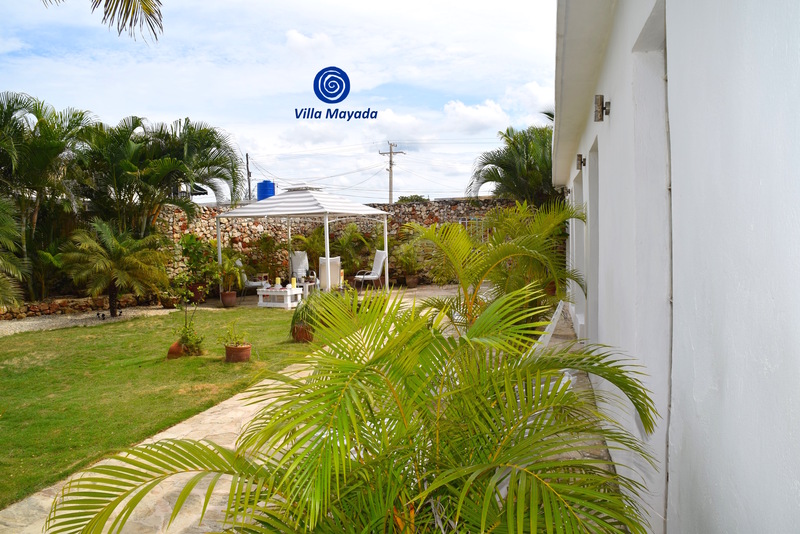 The house is located in a very quiet and pacefull area, in the sounding houses lives normal cuban families. 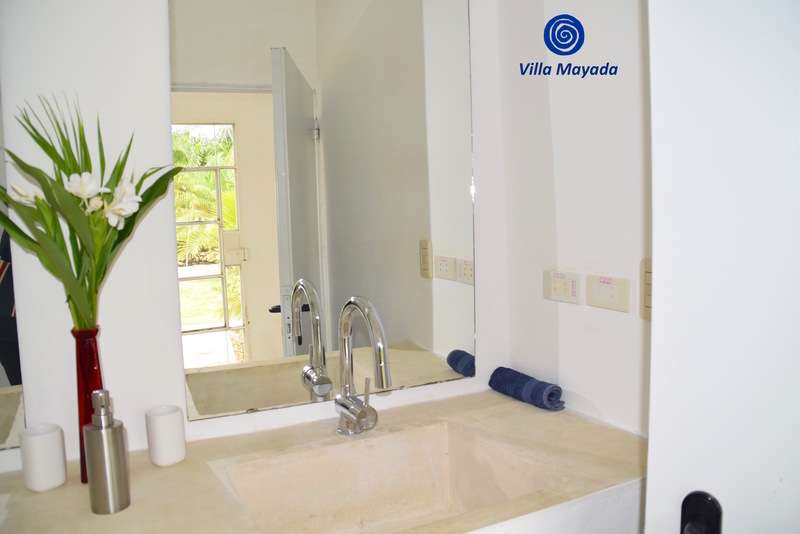 According to our experience, it is not necessary to have camaras and gards taking care of the house. 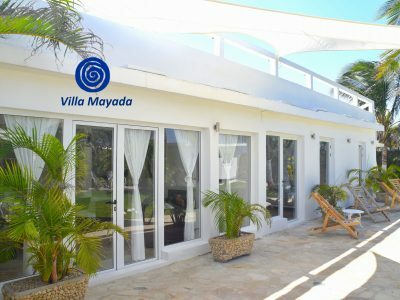 A night gard and security sistem is prescribed by cuban law. 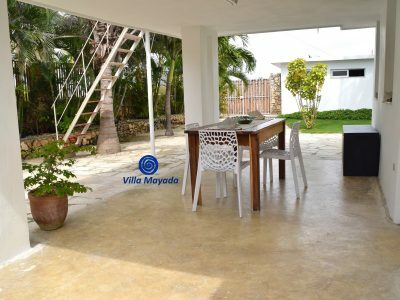 we can only rent our house if we act according to goverment regulations. 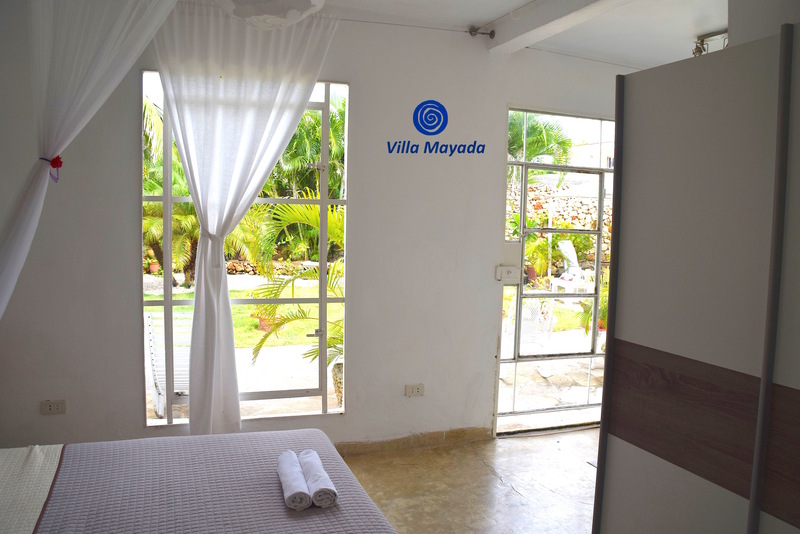 We kindly ask you to understand this point. 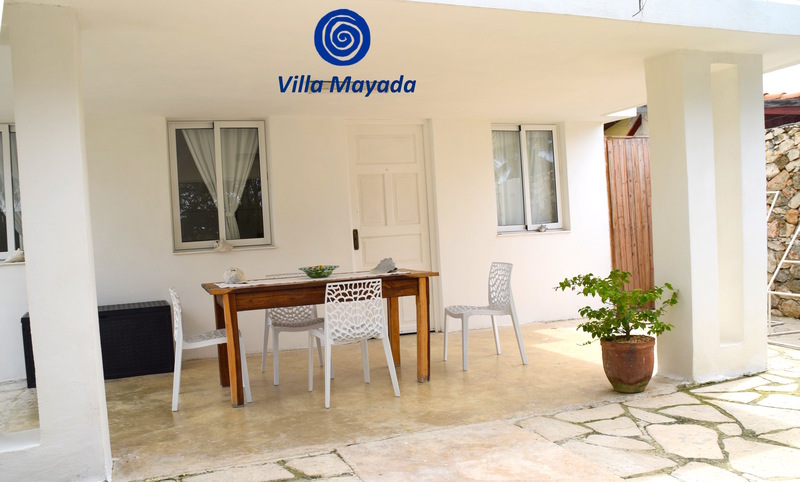 Our night guard always stay outside of the premises or in the little gatehouse away from the house. 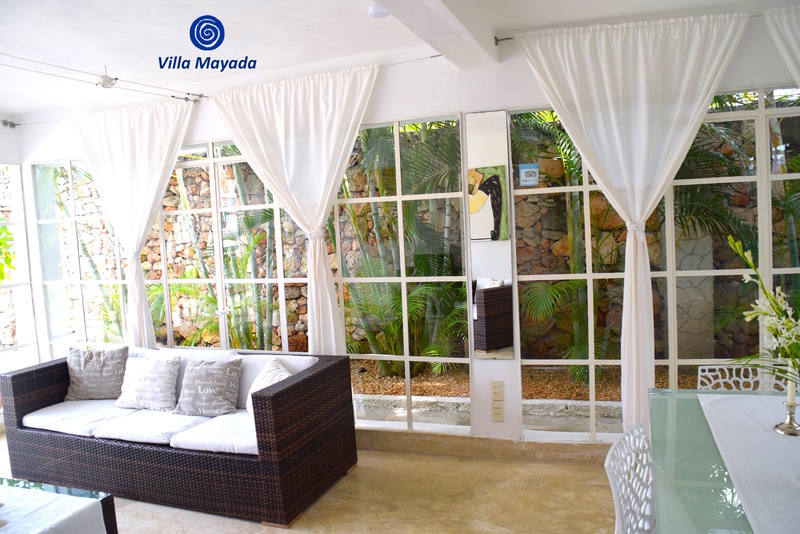 The gard is very discreet, so that you do not have the feeling to be monitored, he will not be in the area while you are in the garden or any outside area of the house. 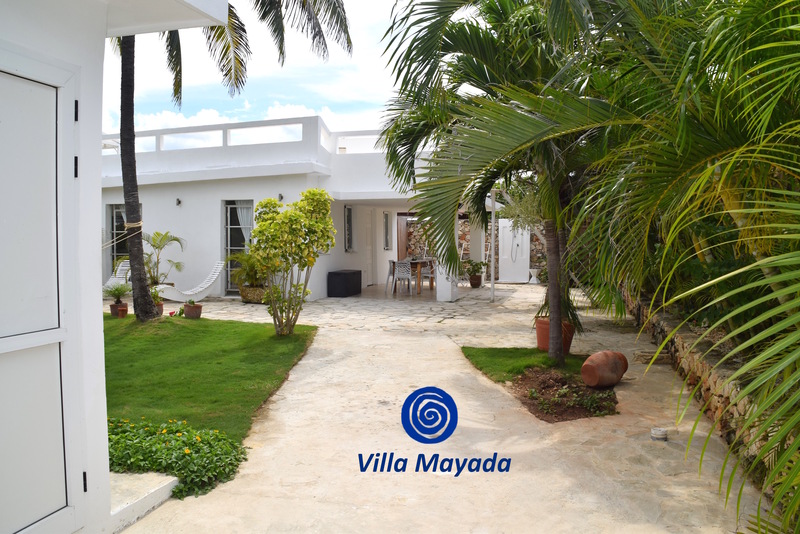 the ouside camaras only shows the outside area of the property. 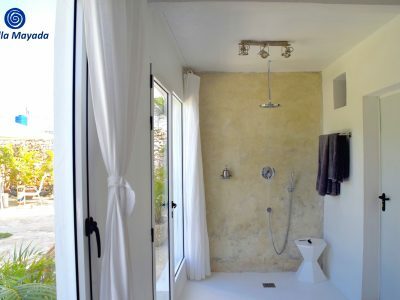 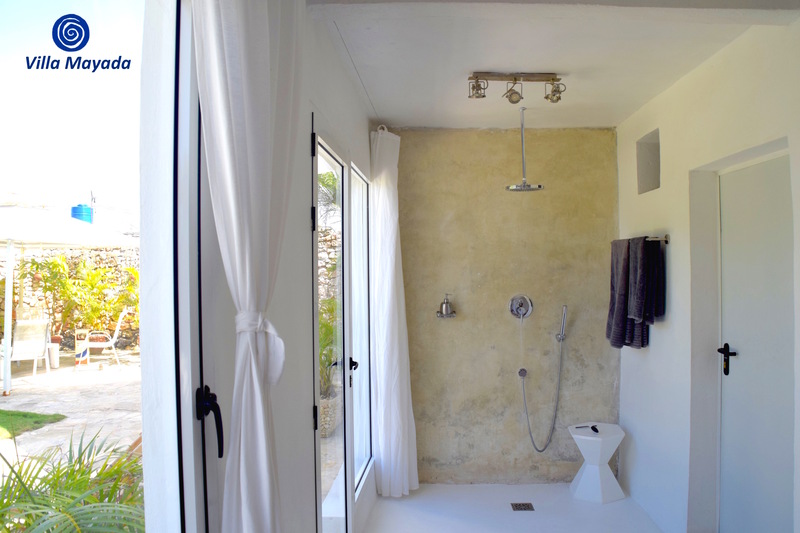 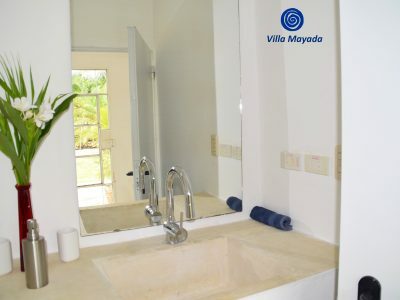 Privacy and confort for our guest is the most important part of our concept. 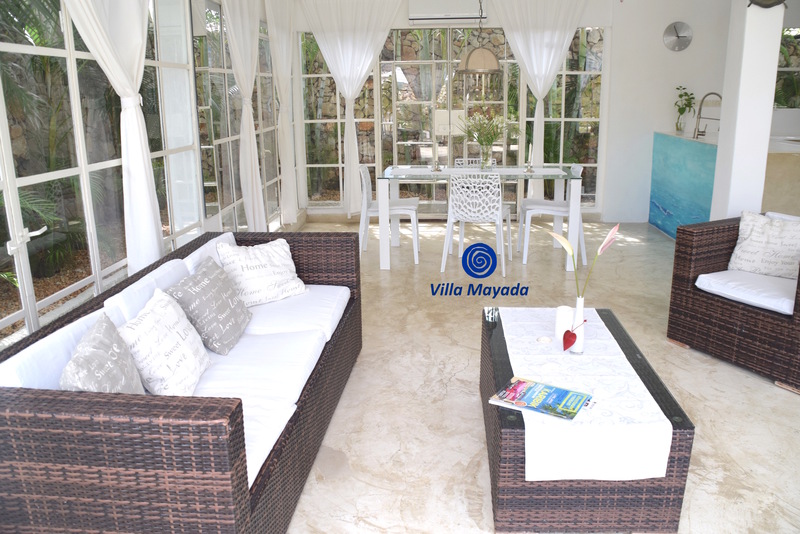 Our guest live completely alone in the whole property, we provide 2 KEY SETS to access the villa anytime. 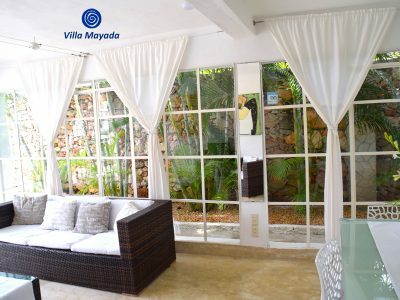 Our English-German speaking team receives our guest with a welcome cocktail and refreshing towels. 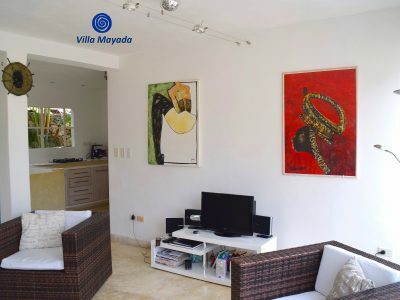 They shows the apartment and give all necessary information and a general review of important facilities and highlights nearby for a pleasant stay in the city. 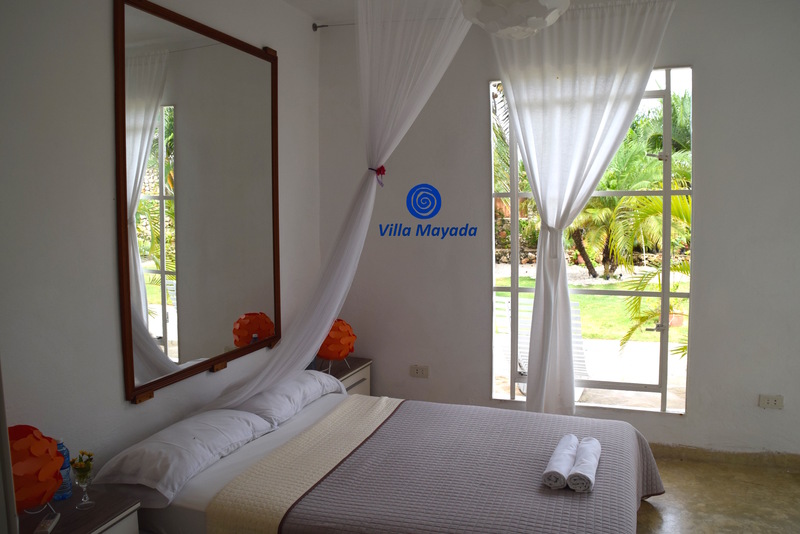 We provide our guest with a pre-paid mobile phone charged with 5 CUC to make free emergency and national calls or call our customer service for any request. 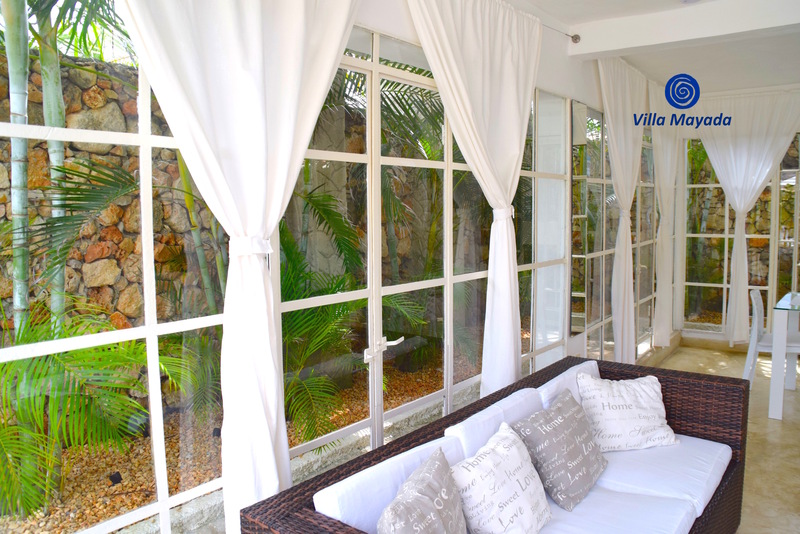 Our team is available 24 hours for any customer request. 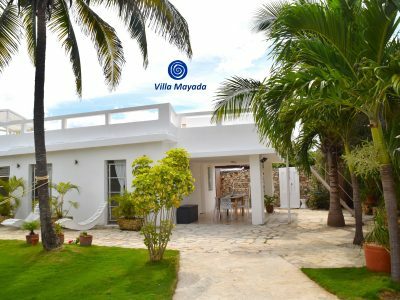 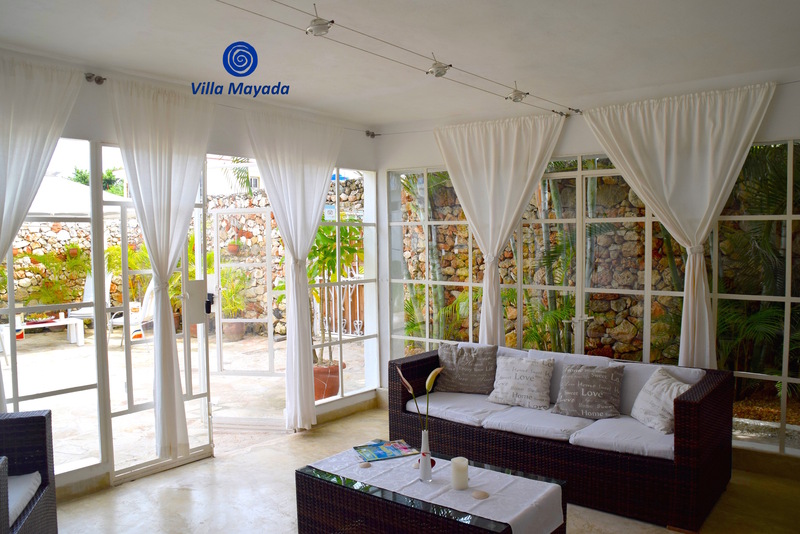 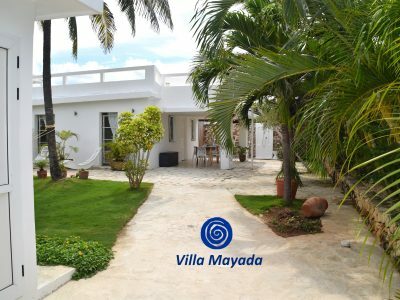 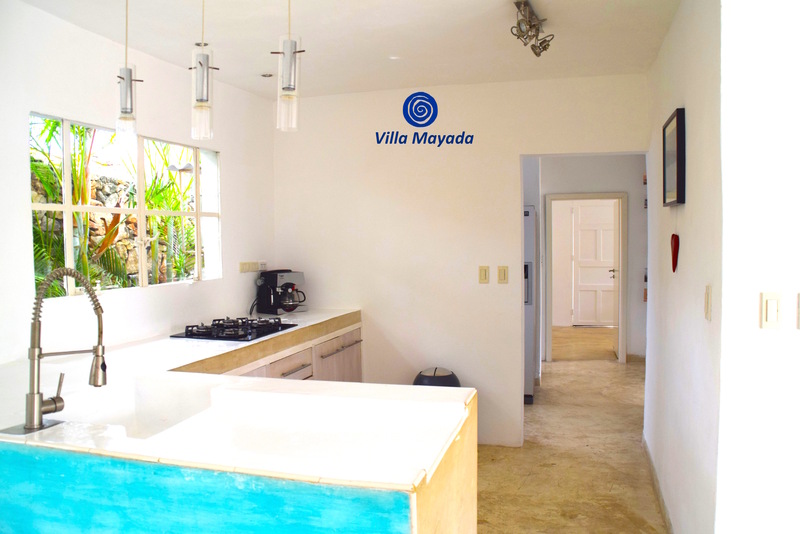 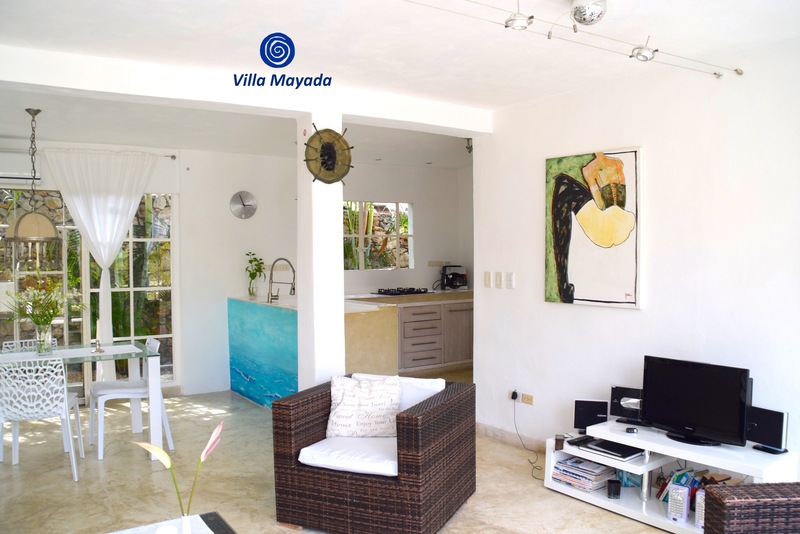 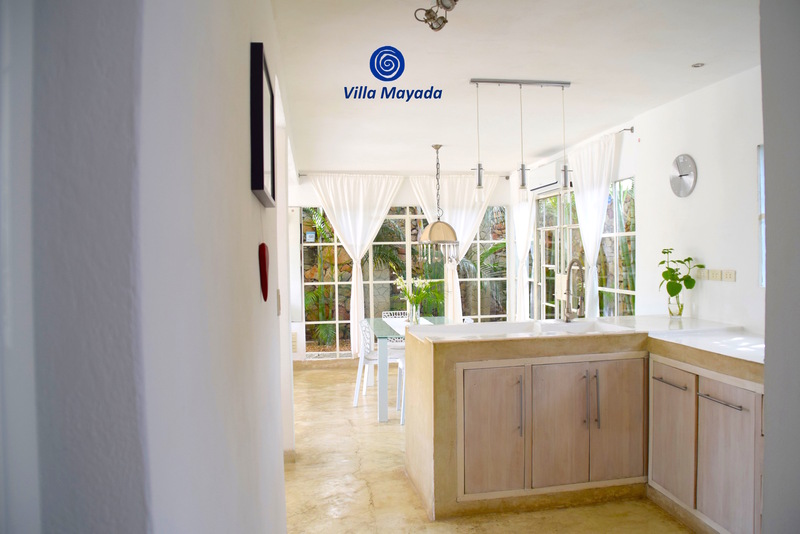 Villa Mayadas guest wants to relax and enjoy the sound of the sea, the fresh ocean breezes, the amaizing view, the quiet nights and the confort of a sincere standard. 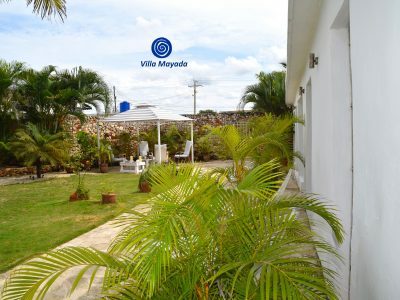 The house is located in a very quiet and pacefull area, in the sounding houses lives normal cuban families. 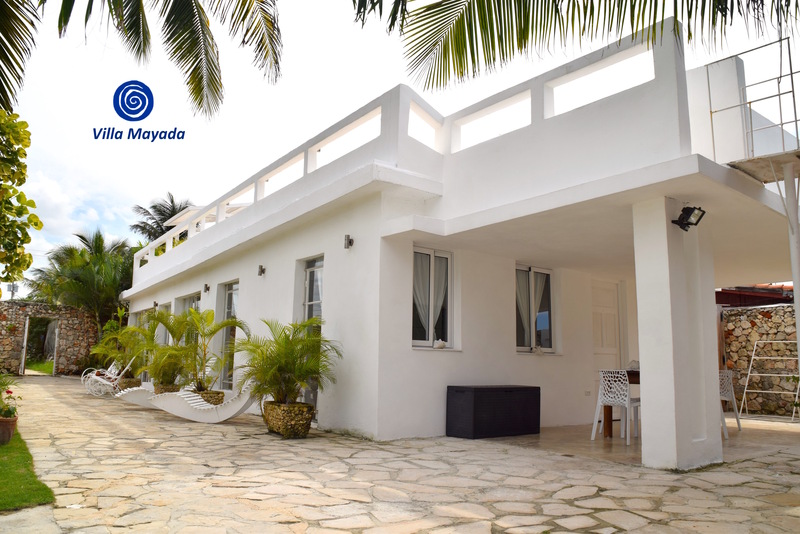 Guanabo is just a little town with few turist and normal cubans, not far from Havana Old City Center. 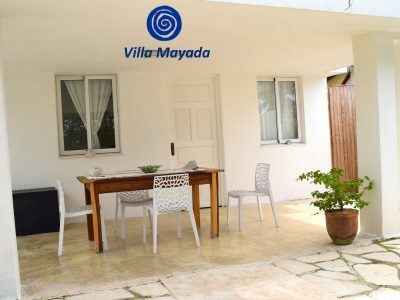 The villa is a good place for families with Kids and people looking for a very clean and confortable house to take a rest after travelling through the country, after exhausting working time in their country or just a place to make relax holidays. 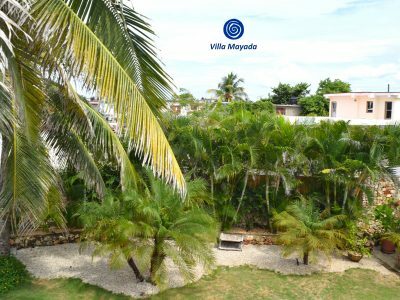 We are in „Playas del Este“ in Guanabo town, in Calle 1era 49006 e/ 490 & 492, Guanabo, Playas del Este, one street away from the main street 5ta. 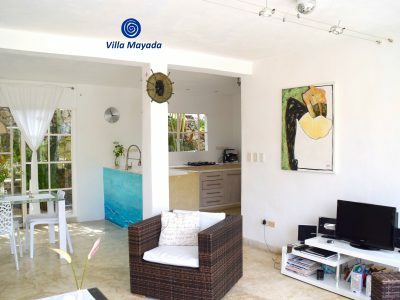 Avenida , many facilities like markets, farmers market, bank, hospital, restaurants , bars and any kind of transportation to any part of the city center are accessible on foot, . 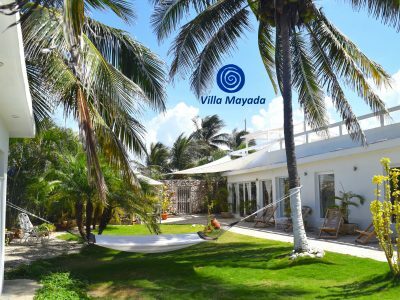 Villa Mayada is located directly at a natural sand beach, in some season there are some little stone at the shore but it is good to swimm, there are no stones in the water! 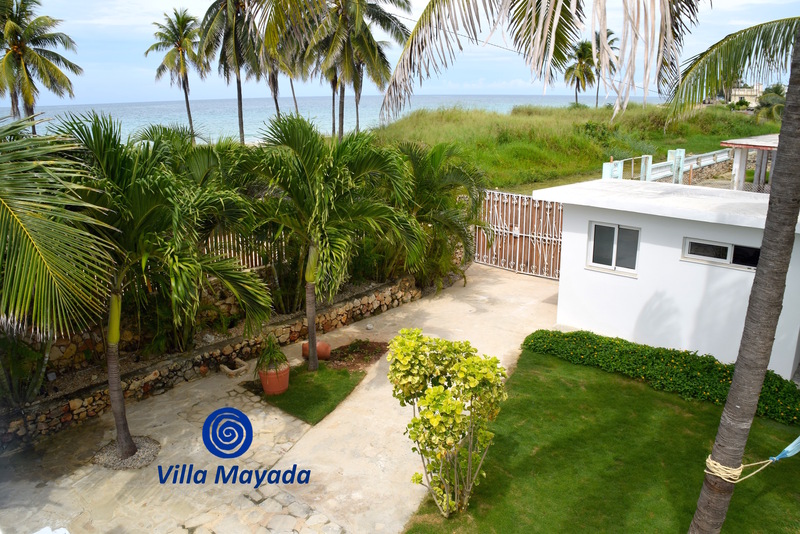 1 km away from the Villa, begin the white sand beaches – Boca Ciega- Mar Azul, etc. 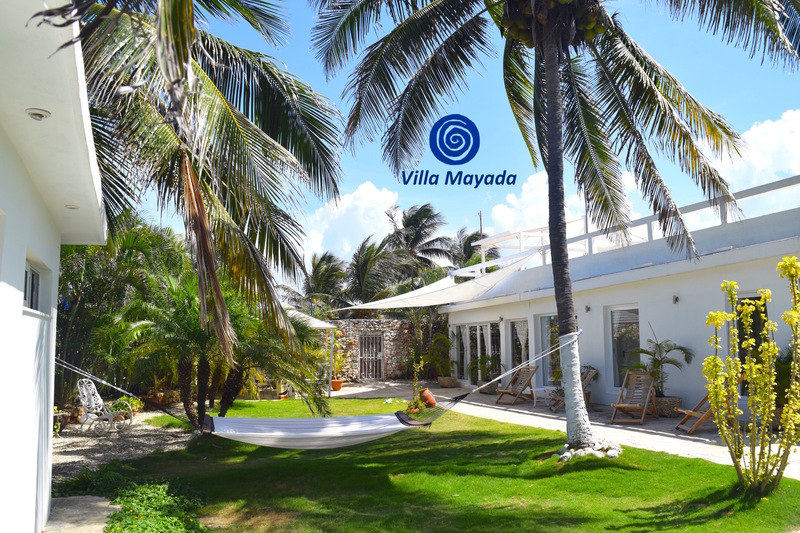 it is possible to walk at beach shore from our villa, to this places, where umbrellas, beach chairs, can be hired. 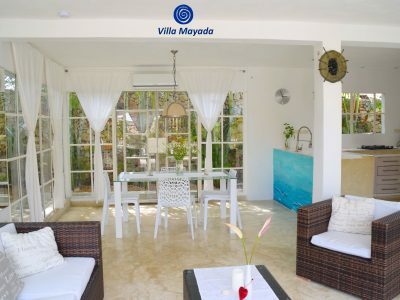 There are also little restaurants, some of them serve food, coctails and drinks at the beach. 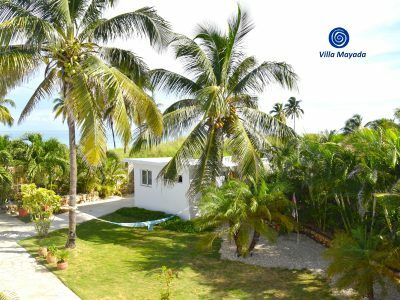 Short excursion with the catamaran and snorkeling can be also booked there.